[0:02] <Criggie> Froolap: sopwith camel! [0:06] <Stephini_> hey would any of you know the proper resistor for the led in an NES? [0:10] <jlf> tried googling nes schematic? [0:10] <ozzzy> does it matter? [0:11] <ozzzy> the DOS game sopwith?? [0:11] <Stephini_> jlf, even if i did i can't read schematics yet. [0:12] <Criggie> "DOO DO DOOOO na na na na DOO DOO...."
[0:13] <Criggie> ozzzy: "David L. Clark" ? [0:15] <ozzzy> He wrote a nice astronomy app called Clear Sky. [0:16] <Criggie> ozzzy: http://www.wingkong.net/sopwith2b/images/dave.jpg that guy? [0:18] <Froolap> good. how many moons does saturn have? [0:19] <Froolap> yeah, that got me in trouble in highschool, the text book said 12, the briticanica said 14, the worldbook said 16. [0:19] <Criggie> Froolap: how many are there we haven't found yet? [0:20] <Criggie> and at what size does a moon become space junk ? [0:20] <Criggie> "textbook's out of date"
[0:21] <Froolap> I could understand telescopes getting better through time and finding more.... but where were the missing moons wandering off to? [0:28] <drag0nius> what were the boot partition requirements on rpi? [0:30] <drag0nius> then i've 70 mb "w95 fat32 (LBA)"
[0:31] <Xark> drag0nius: I think the main thing is a MBR partition table and partition one being FAT with boot files on it. [0:31] <jamesaxl> if i set speed.ChangeDutyCycle(1000) to my DC motor it will damaged ? [1:09] <jlf> anyone have comments about moebius vs. minibian? [1:14] <Stephini_> would it be safe to hook up an led to the pi's 5v and ground? i'm not sure if i'm dropping the voltage with the resistor or something else. [1:14] <ShorTie> jlf, what cha after ?? [1:17] <ShorTie> a desktop i'm guessing ?? [1:19] <ShorTie> you ever look at 'dpkg -l' ?? [1:20] <ShorTie> you got raspbian or debian ?? [1:22] <BigJ> will NOOBS create a dual boot environment if you select multiple OS? [1:24] <BigJ> ShorTie, were you responding to me? [1:26] <BigJ> what are my other options for dual booting? Is there something similar to grub? [1:27] <pizearke> why don't you just buy a second sd card? [1:28] <Criggie> how good is the SD slot for durability? I've seen plenty of readers die with use. [1:30] <BigJ> is there a big performance hit booting from a USB stick? [1:53] <Xark> BigJ: I found it slower than a good SD card (even nice fast USB 3.0 Flash). [1:55] <Kryczek> Xark: BigJ: Hi! I just joined :) May I ask what the question was? [1:55] <Xark> BigJ	is there a big performance hit booting from a USB stick? [2:01] <Kryczek> Can the RPi boot from USB now or do you have /boot on the SD and the rest on USB? [2:53] <HoloPed> Is there an easy way to rotate the screen 180 degrees ? [2:55] <HoloPed> not possible ? [2:56] <phire> "display_rotate rotates the display clockwise on the screen (default=0) or flips the display." [2:58] <phire> I assume you could do the same with x and some scripts. [2:59] <phire> but to get the console to rotate too, you are going to need to modify the kernel. [3:22] <Klaus_Dieter> I must be missing something obvious but I have been staring at this for the last 2 hours and cannot spot it so every help is appreciated. [3:28] <Klaus_Dieter> aaa801: what problem are you trying to solve? [3:33] <Mutantx> Has anyone had issues with TUN booting in Archlinux on rp2? [3:34] <Klaus_Dieter> aaa801: it is not free because linux uses it as a cache. [3:34] <Klaus_Dieter> aaa801: free ram = wasted ram. [3:41] <HoloPed> Hey all, is there a way to capture images from the pi camera and process them in OpenCV - in real time - In python ? [3:44] <Klaus_Dieter> the pi has a camera? [3:44] <Xark> Klaus_Dieter: Optional, yes. [3:45] <Klaus_Dieter> now the next issue is that my initrd does not seem to be utilized. [4:05] <waveform> HoloPed, what exactly do you mean by real time? [4:06] <pizearke> hey, if I ordered my rpi2 less than a month ago, it has the latest version of the kernel, right? [4:06] <waveform> HoloPed, and for that matter what do you mean by "process them in OpenCV"? [4:10] <HoloPed> how about just detecting changes in over intensity ? [4:10] <HoloPed> Can I capture at 320x240 ? [4:11] <HoloPed> ok lets start there, how do I capture from camera ? [4:11] <waveform> oh, just to make sure - we're talking about the Pi camera module here and not a USB webcam, right? [4:14] <HoloPed> Is it possible to capture without onscreen preview ? [4:25] <Klaus_Dieter> so I want y usb wifi dongle to be visible in an initramfs. I loaded the modules but still the device is not visible in /sys/class/net. what is missing? [4:27] <ttys0> doesn't wifi require some userspace pieces that won't be available in the initrd context? [4:30] <ttys0> Klaus_Dieter : I don't understand what the restrictions are in the initrd context, but I would think getting the wpa_supplicant stuff to fire might be troublesome. Is it able to write a log output to /tmp or somewhere else global that you can see later? [4:32] <ttys0> but that's part of my confusion. Each additional step is another piece that you would expect to be available in a running system, but the initrd context isn't that. How much can you really shoehorn in? [4:46] <lickalott> sup man! Just got that edimax today. [4:46] <Ullarah> Then retry the install.sh script. [4:48] <lickalott> i can go standard xbian if that would help. [4:50] <Ullarah> It should be easy enough to follow that guide. [4:50] <lickalott> looking now. Thanks! [4:51] <Ullarah> Other than that, install something like minibian on your RPi then install kodi seperately. [6:30] <aharris6> hi all, anyone familiar with the "Rpi Automatic Video Looper" software? [7:23] <jonascj> Hi all. How can I supply 5V to a compnent using raspberry pi? Can I get 5V supply from the GPIO pins? [7:26] <jonascj> according to the GPIO layout / pinout there is 2x 5V pins. Can I use those as supply? [10:12] <ali1234> why, what's wrong with it? [10:16] <shiftplusone> *to get... grammar fail. [11:42] <PaowZ_> hi there ! I flashed raspbuntu on a SDcard and it boots successfully, but I cannot open ssh link as a root even though I changed password..
[11:42] <PaowZ_> any clue ? [11:43] <ShorTie> you mean you can not ssh into it ?? [11:43] <Kryczek> PaowZ_: try ssh'ing as a user and then using sudo? [11:44] <ShorTie> are you sure ssh is install ?? [11:44] <PaowZ_> hi Kryczek, actually, I have a bunch of files to copy through 'scp' command..
[11:47] <PaowZ_> I have "PermitRootLogin without_password"
[11:50] <PaowZ_> ..and restart daemon..
[11:54] <ShorTie> could you just creat a symlink to the ssh keys in /root/.ssh/ ?? [11:55] <ShorTie> do you know off the top of your head where the keys are stored ?? [11:57] <ShorTie> oh, so your saying every machine might need modifing ?? [11:58] <Kryczek> ShorTie: how many machines are there? 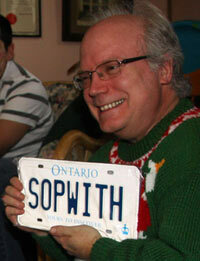 [12:01] <Kryczek> 10:54 < ShorTie> could you just creat a symlink to the ssh keys in /root/.ssh/ ?? [12:02] <Kryczek> ShorTie: is it just you connecting from one machine to all the others? [12:03] <Kryczek> and you use the same username everywhere? [12:04] <ShorTie> well of course, lol. [12:17] <ShorTie> it's like oh ya, i got the most power as i rip the power cord out of the wall, there take that, lol. [12:20] <ShorTie> 'expert', i'm no expert and never interesting in being 'A Has Been Drip Under Pressure' either really, lol. [12:34] <NetBilly> Hello. I am stuck trying to curl to localhost from Linux raspberrypi 3.18.7+. http://127.0.01 doesn't work either. I also tried to the actual IP of the device. [12:41] <Kryczek> do you get any error message? [12:46] <ShorTie> what is your curl line if i can ask ?? [12:49] <ShorTie> are you really telling curl to do anything ?? [12:50] <pksato> have a error? [12:53] <Kryczek> NetBilly: does `iptables -nvL` as root show ACCEPT or DROP on INPUT and OUTPUT? [12:59] <ShorTie> so it was a hosts problem ?? [13:06] <NetBilly> no idea why it wasn't in there. [13:26] <_nim> Hey, I was thinking about using my Pi to remotely open/close my window. Would this be possible using the GPIO pins, and if so, which parts would I need? [13:38] <edjuh> no other gaps or ventilation oppurtunities ? [13:38] <Kryczek> _nim: why not control the heating with the Pi instead? [13:40] <Kryczek> _nim: what kind of window is it that you would like to control with the Pi? [13:41] <Kryczek> i.e. does it swing open or slide, or? [13:45] <Kryczek> ah, are you Danish? [13:47] <_nim> edjuh, Kryczek: Danish, yes. Netbilly: Thanks for the link! Looks interesting! [13:56] <_nim> Kryczek, edjuh, NetBilly: I better get back to work. Thanks for your help! [13:57] <edjuh> Kryczek: you are from guess cz? [13:58] <teclo-> Hi there, I see there are HDMI to VGA converters for the Raspberry Pi, but... is it a good idea ? [13:59] <Kryczek> teclo-: just in case: is DVI not an option? [14:00] <Kryczek> teclo-: ah, pity! [14:01] <teclo-> edjuh: you mean putting /tmp and /var/log on other partitions might be a good ideA ? [14:01] <ivh> teclo-: broken as in hardware? or just not bootable installation? [14:02] <teclo-> edjuh: mount them on tmpfs ? [14:02] <ivh> edjuh: can you elaborate? you mean limit the writing to the sd-card? [14:03] <Kryczek> would mounting the SD as 'sync' help or make it worse by the way? [14:03] <melwyn> hey everyone! i am running two Pi's from one battery/solar-platform and would like to suspend one pi during the night to save power. i have used a camping-timer so far but looking for a "better" solution cause the timer has some serious clock drift. [14:04] <Hix> melwyn RTC and crontab script? [14:04] <shiftplusone> melwyn, yeah, there are reset pins you can use. [14:07] <melwyn> Hix: thanks, i will have a look. [14:08] <Kryczek> melwyn: maybe you can add a photosensitive switch on the Pi's power line? [14:14] <melwyn> Kryczek: oh that would be simple, yeah. [14:32] <ozzzy> a cable is causing a bsd?? [14:48] <Hix> ouch sudo apt-get update = 35Mb on a 2.5G phone connection via a laptop and usb > serial. What could possibly go wrong? [14:59] <waveform> yeah, that's probably a safe candidate. You may also find "apt-get" starts talking about "packages were automatically installed and are no longer required"
[14:59] <Perdouille> Hello everyone ! [15:01] <Hix> how do I get a list of packages? [15:01] <waveform> Hix, a list of what packages? Those installed? [15:01] <waveform> Hix, or a list of packages that can potentially be installed? [15:01] <Hix> ls in /usr/bin? [15:03] <Hix> is the power generator 5V? [15:04] <waveform> Hix, just pipe it to less so you can scroll around and search: "dpkg -l | less"
[15:07] <Perdouille> But if there is a lot of current it wont burn ? [15:13] <Datalink> Perdouille, are you using the USB power port or the 5V on P1? [15:26] <Jaeger2k> can someone tell me where pin 1 is located on rpi b+ rev 1.2? [15:26] <Jaeger2k> to the edge or the the usb? [15:53] <Armand> Did your camera get buried in snow? [15:53] <Armand> I just see white. [15:56] <Armand> Noice.. I'm tempted to make one myself when we get our own place. [15:59] <Armand> Needs more panels though. [16:01] <Hix> hmm, interesting, what sort of size is it? [16:02] <Armand> Currently 20W panel, 5x 7Ah batteries. [16:20] <HoloPed> hi waveform , you around ? [16:24] <steve_rox> set iso lower if target is still? [16:54] <Froolap> where? which one? how much? [16:58] <Froolap> but if there's ones that will say the resolution on screen, I want one. [17:00] <ozzzy> wouldn't it just be the native resolution of the monitor? [17:04] <Froolap> what if I'm sending 1280x024 and the monitor don't like it. would be nice if the monitor could tell me what it's not liking. [18:43] <Froolap> is there a cable for powering the pi from a powered usb hub or is that a bad plan? [18:45] <ShorTie> can't just use a micro-usb cable ?? [18:46] <Sonny_Jim> Does anyone elses Pi show the time as half an hour ? [18:46] <Froolap> doesn't seem to fit.... and didn't know if maybe data channels..... what if you want to run devices off of the hub? [18:48] <ShorTie> doesn't fit hub or pi ?? [18:50] <Froolap> and well when looking at instructions for connecting pi to a lapdock.... they were saying to cut the red wire on the usb connect. [18:50] <ShorTie> sure it is not a mini-usb cable ?? 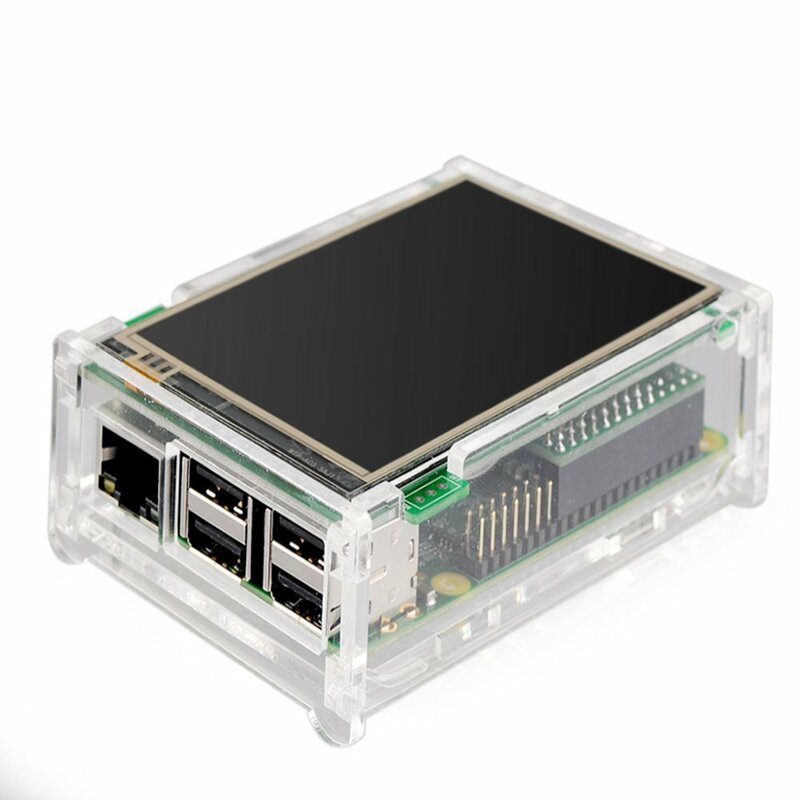 [20:30] <Anonissimus> Hi, looking for a way to have a rpi+case+touchscreen, any suggestions? [21:04] <Anonissimus> you say that the pi2 will fit in there? [21:12] <Ryccardo> is it bad to hold down the reset button for... a few hours? [21:14] <atouk> and one must ask, why? [21:51] <aberrant> what’s the name of the terminal in the rpi graphical interface? [21:51] <HoloPed> how do I print colored text into terminal , from python ? [21:53] <aberrant> I gotta figure out how to disable the gui on boot. raspi-config isn’t doing it. [21:53] <Ryccardo> ah, the terminal emulator? [21:56] <aberrant> ok, trying - thanks. [21:57] <Ryccardo> lightdm still starts on boot? [22:17] <teclo-> muriani: ah, so the HDMI output support other resolutions than FullHD ? [22:18] <snowcatma> , hello, is there a way to imulate rp pi2 @ 1g on a win7. i am trying to setup my rp matrix minecraft server. i have looked at qemu put it does not suport the memory i need to use. also vertualbox i have yet to learn how to fire up a arm invirnment w/a converted .img to .vdi. [23:11] <Sonny_Jim> Any ideas why my Pi clock is half an hour slow? [23:15] <Sonny_Jim> How do I check what timezone it's set to? [23:19] <Ryccardo> "universal time is" is wrong? [23:20] <Sonny_Jim> Universal Time is now: Mon Mar 16 21:48:11 UTC 2015. [23:20] <aberrant> I updated to jessie and now I get the damn gui even after raspi-config boot to desktop/console. Any ideas? [23:21] <aberrant> where is lightdm launched? [23:22] <Sonny_Jim> server pool.ntp.org iburst was showing the time as half an hour slow for some reason? [23:25] <imbezol> didn't mean to paste that but..